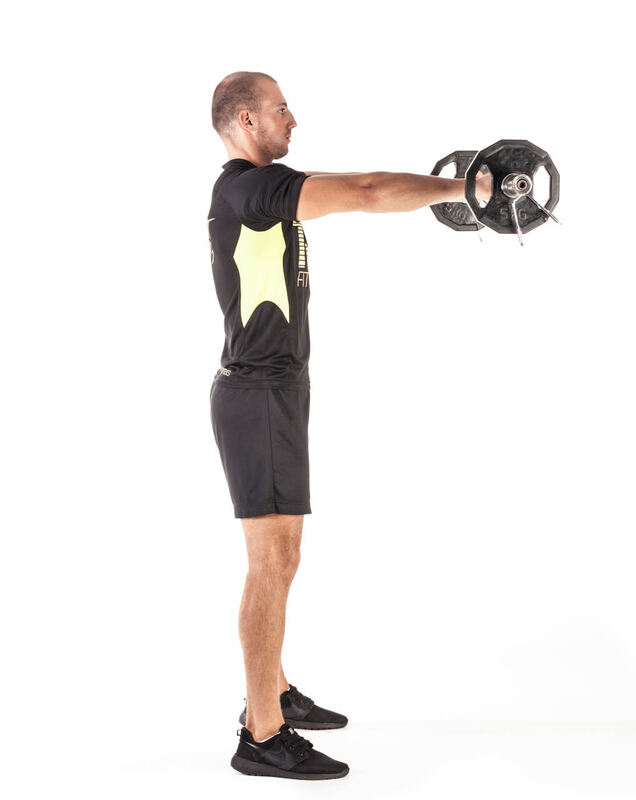 Grab a pair of dumbbells in each hand with your arms fully extended to the side using a neutral grip (palms facing in). Seat down on incline bench with your back pressed to the side of the bench. Slowly lift the dumbbells up until you create a sharps degree angle with your arms. Lower the dumbbells down to the starting position and repeat the exercise according to the training plan. Grab a couple of dumbbells and stand with a straight torso, extended arms and the dumbbells behind your back with the palms of the hands facing each other. 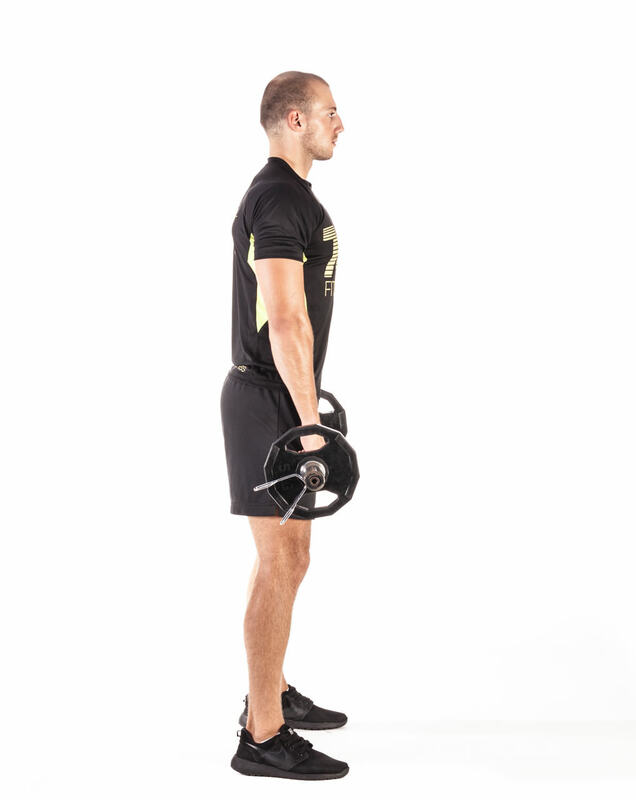 While maintaining the torso in a stationary position (no swinging), lift the dumbbells to your side with a slight bend on the elbow and the hands slightly tilted forward. Continue to go up until your arms are parallel to the floor. Pause for a second at the top. Lower the dumbbells back down slowly to the starting position and repeat the exercise according to the training plan. Grab a barbell with pronated grip and stand with a straight torso and the bar on front of your thighs at arm’s length with the palms of the hands facing your thighs. While maintaining the torso stationary (no swinging), lift the bar to the front and with the palms of the hands facing down. Continue to go up until you arms are parallel to the floor. Pause for a second at the top. Lower the bar back down slowly to the starting position. Repeat the exercise according to the training plan. Grab a barbell. Stand with a shoulder width, with the bar hanging at the mid-thigh position (one arm – pronated grip, other arm – supinated grip). Your back should be straight and inclined slightly forward. Shrug your shoulders towards your ears. Lower your shoulders to the starting position and repeat the exercise according to the training plan.